Get up to $23 off Princess plus accessory bundle. Get a free Coloring book with any purchase. Get $25 off Mermaid Essentials Gift Bundles + Free shipping on this bundle. Deal of the Week! Get 2 plush toys for $15. Get Free Shipping on your first order when you sign up for email. This offer is valid only for first-time customers subscribing to emails. Get $10 Off orders of $50, $20 Off $100 and $30 Off $150. Get $5 Off order over $50, $15 Off orders over$100 and $30 Off orders over $200. Get 10% off When you buy The Bundle. Get up to $97 off MSRP Deluxe Mermaiden Princess bundles. Sale! 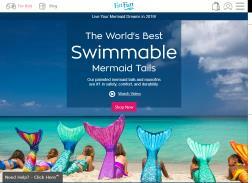 Get $15 off mermaid tails. Limited edition only. Super Sale! Save $30 on Malibu pink and Rainbow Reef tail sets. Get $10 off your first order when you subscribe for newsletter. Get $20 off all new Mermaid Swimsuit Sets. Limit 1 per customer. Save 10% on Tail Blanket for Adults and Kids. Spring Break Special! Get free continental US shipping on your order. Memorial Day Sale! Get 25% off everything on the site. Get a Free Black Bikini top for Tidal Teal/Barracuda Black mermaid tails with purchase of any Mermaid Tail and Monofin. Deal of the Week! 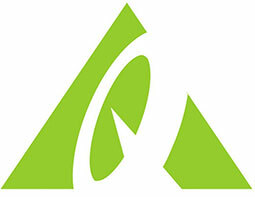 Get $5 Off Celtic Green Sarongs.